A long-time Pacific Northwest tradition, Pacific Northwest Ballet’s (PNB) ‘the Nutcracker’ opened at McCaw Hall on November 23, a day after Thanksgiving. 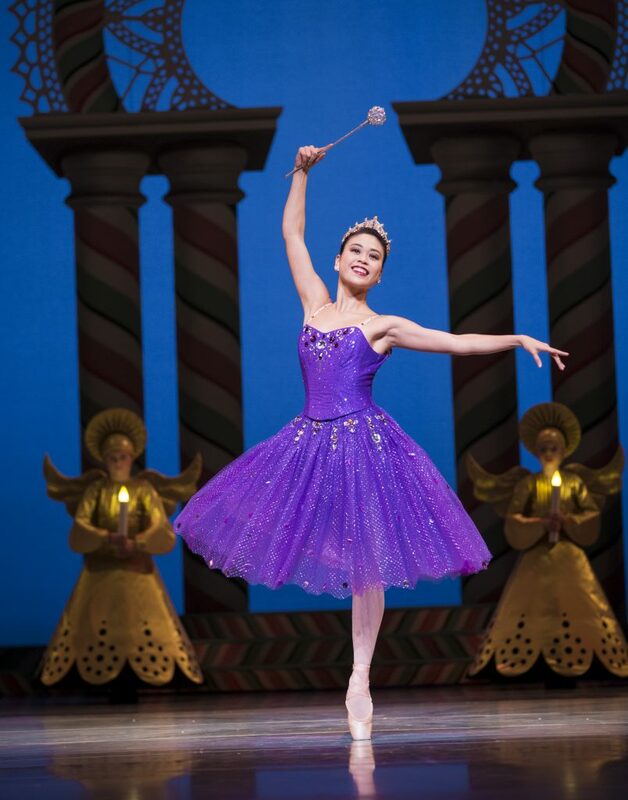 Scheduled to be on for a whole month till December 28, ‘the Nutcracker’ gives Seattle audiences their first snow of this season, as well as an opportunity to believe in magic, family, imagination and dreams again. 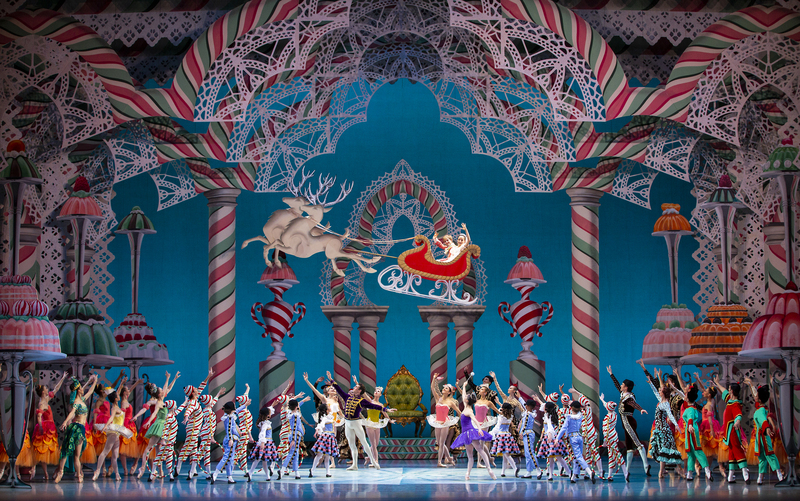 Since its transition from its Founding Artistic Director’s ‘the Nutcracker’ to George Balanchine’s version of this holiday ballet, PNB has been bringing splendid costumes, wonderful choreography, and a re-decorated McCaw Hall to its beloved Seattle audiences. Again this year, audience members begin to sense a holiday spirit before they even enter the doors of McCaw Hall, and are immediately greeted by a giant festive Christmas tree that always has a line of people waiting to get their photos taken. Along the hall of the main floor, PNB continues its spell on audiences with countless booths or photo-ops. Children and adults alike become one-night ballerinas under the spotlights, and the multi-floor venue is basked in not only holiday lights but also holiday spirit. Pacific Northwest Ballet corps de ballet dancer Christopher D’Ariano as Mother Ginger (with the feet of eight PNB School students) in a scene from George Balanchine’s The Nutcracker®, choreographed by George Balanchine © The George Balanchine Trust. PNB’s production features sets and costumes designed by Ian Falconer and runs November 23 – December 28, 2018. Photo © Angela Sterling. Having seen multiple PNB dancers perform ‘the Nutcracker’ for several times now, I return to this year’s ‘the Nutcracker’, feeling like going home and going back to a delightful tradition. 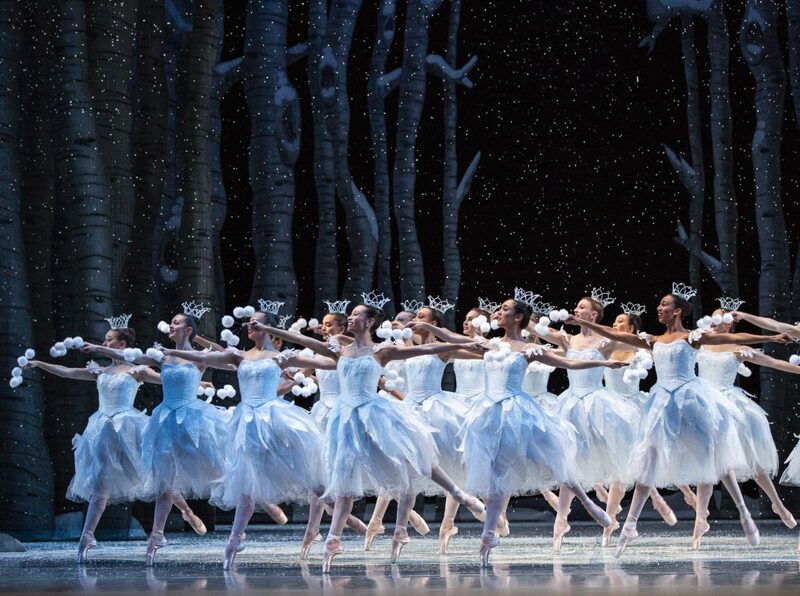 Though I have pretty much captured all the magical moments in this ballet, I am delighted to find that the magic of this ballet does not rest in its most magical and difficult choreography moments, but instead, it is the imaginative space it allows its audiences to go into that is its most bright winter star. All around the venue, one can see the wondrous looks on the children’s faces, the sparkling nutcracker toys clutched in their arms, and the indulging looks on the adults’ faces. Everyone, young and old, steps into a zone and a space where imagination and dream become real and within grasp. Pacific Northwest Ballet soloist Angelica Generosa as the Sugar Plum Fairy, with PNB School students in a scene from George Balanchine’s The Nutcracker®, choreographed by George Balanchine © The George Balanchine Trust. 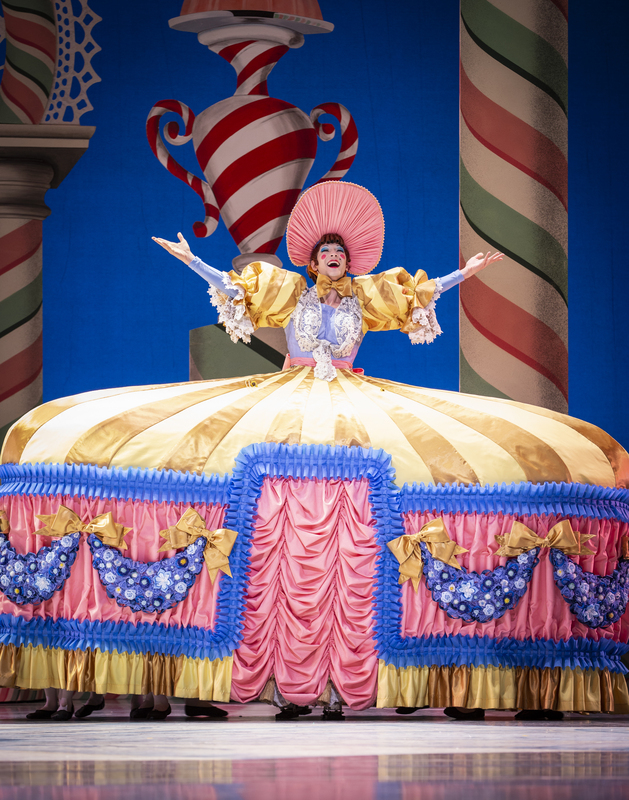 PNB’s production features sets and costumes designed by children’s author and illustrator Ian Falconer (Olivia the Pig) and runs November 23 – December 28, 2018. Photo © Angela Sterling. With this ballet running for more than a month, PNB dancers take on different roles in the ballet, two casts of 70 children are assembled, and many PNB professional division students step into signature roles. On November 24 night performance, we have soloist Angelica Generosa as the Sugar Plum Fairy, soloist Price Suddarth as her Cavalier, and principal dancer Laura Tisserand as the Dewdrop. An elegant dancer, Tisserand leads the dancers in ‘Waltz of the Flowers’ with grace. Other highlights of the night rest on the performances of Coffee by company dancer Elle Macy and of the lead Marzipan Shepherdess by principal dancer Leta Biasucci. A brilliant dancer on the rise, Macy returns to the role of Coffee in its signature peacock costume, and awes the Saturday night audiences with yet another memorable performance. A technically-demanding role, the role of the lead Marzipan Shepherdess demands the best from a dancer, and Biasucci brings her strong techniques to enchant everyone sitting down there. For a ballet that has such a long history around the world and in the United States, the questions may be: why should we watch it again? or what is in there for us? Well, the answer to both questions can be yet another question: where and when can we have a better opportunity to let our imagination and dreams roam wild and free?